Product prices and availability are accurate as of 2019-04-15 10:29:21 UTC and are subject to change. Any price and availability information displayed on http://www.amazon.com/ at the time of purchase will apply to the purchase of this product. Whether you want to broil, bake, roast, decorate, or cool, this versatile 100% stainless steel rack from Last Confection does it all. Professionals and home chefs alike will marvel at the incredible craftsmanship and durability of this heavy-duty 12" x 17" rack. 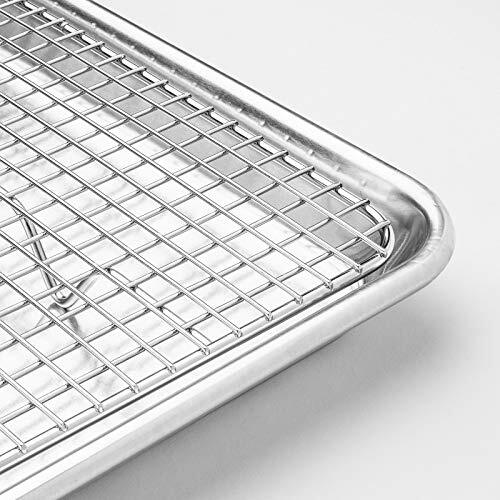 Unlike inferior racks, this professional-grade 100% solid, heavy-gauge 304 Stainless Steel rack is designed to handle even heavy dishes and bakeware. Its durable, bend-proof frame offers great support even for heavy items, plus provides exceptional rust and warp-resistance for lasting use. Oven-safe rack does not contain any metal platings or coatings that can chip, scratch, or transfer toxins or chemicals to food, making it a healthy addition to your kitchen. Achieve perfectly cooked foods and properly cooled baked goods every time, as this expertly engineered rack with four raised feet offers the ideal size and height for optimum air circulation. Use it with or without a half-sheet baking pan (not included) to catch bacon grease drippings, broil mouth-watering meats, roast veggies, crisp up fried chicken, bake cookies, cakes and other sweet treats to perfection. The versatile design is the perfect place to evenly cool and decorate a sinfully decadent cake. 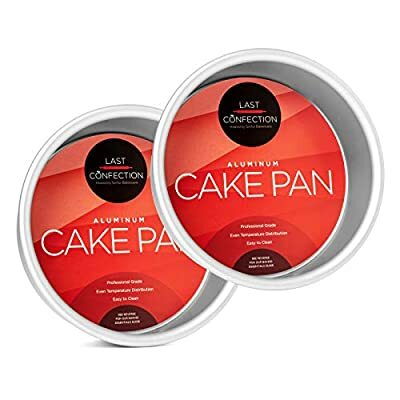 Last Confection is your trusted source for professional-grade kitchen bakeware and accessories that provide lasting quality and exceptional value. PROFESSIONAL QUALITY: Expertly crafted from top-grade #304 surgical stainless steel. 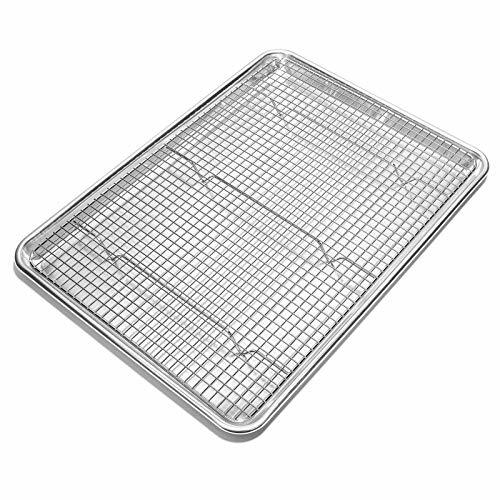 This professional-grade, oven-safe baking and cooling rack is free from metal platings and coatings that can chip, scratch or transfer toxins and chemicals to your food. 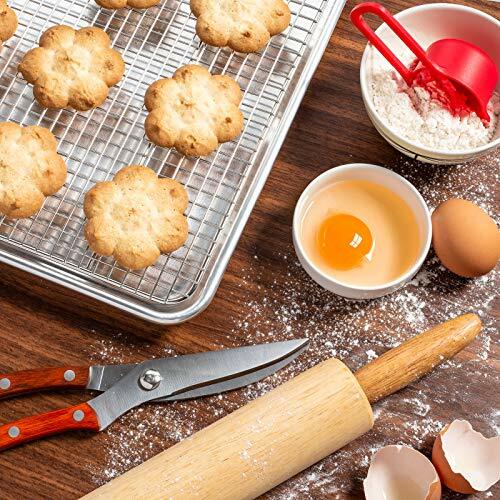 Amateur and pro bakers alike will marvel at the incredible craftmanship and durability. 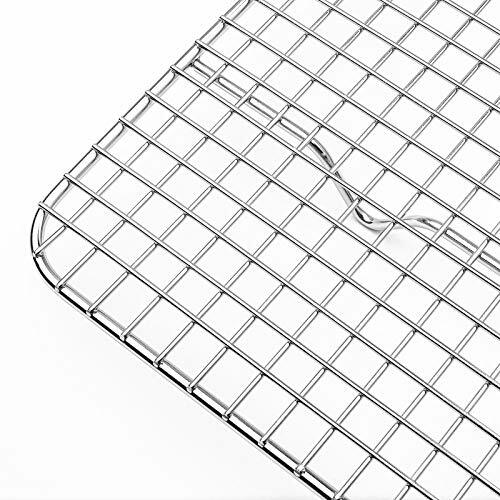 OPTIMUM AIR FLOW: Our Last Confection Baking and Cooling Rack is specially designed, paying close attention to the size, cross bar supports, feet height, and most importantly the grid spacing. This special design creates optimum air circulation allowing you to bake, cook, roast, and broil foods and decadent desserts to perfection. This versatile rack also properly cools baked goods and provides the perfect cake and cookie decorating stage. 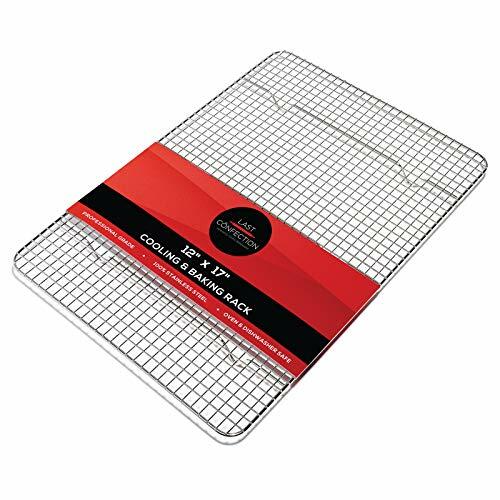 MULTIPURPOSE DESIGN: Measuring 8-1/2" x 12", this professional rack fits seamlessly inside a standard half-sheet baking tray and will retain its shape use after use. From dinner to dessert, this all-in-one rack can handle everything from fried chicken and crispy bacon, savory roasted veggies and potatoes, to delectable pastries and sweet treats. They're oven-safe, effectively standing up to oven temperatures up to 575 degrees Fahrenheit. EASY TO CLEAN: Dishwasher Safe. Remove any excess spills and simply place in the dishwasher for easy, hassle-free cleaning. CUSTOMER SATISFACTION WARRANTY: 90-day "no questions asked" 100% money-back guarantee. If you are not completely satisfied with this item, you may return it for a full refund. This product is also backed by an industry leading, Lifetime Warranty against manufacturer defects.